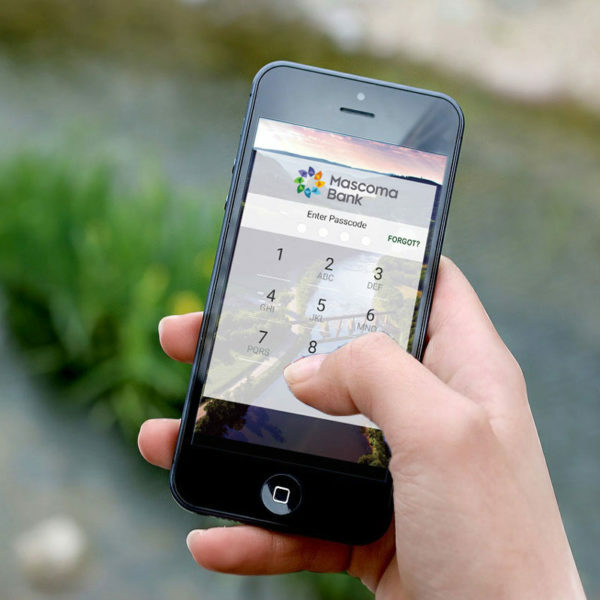 With Mobile Banking from Mascoma Bank, you can check account balances, deposit a check, pay bills, transfer funds, and more from your smartphone. Because Mobile Banking is set up through online banking, you can be sure your accounts are completely secure, even if you lose your phone. There are no account numbers accessible through the cell phone interface, and the same wide network of firewalls and security systems that protects your accounts online goes to work for your phone to prevent any sort of breach. Whether you’re at home, in your car, on vacation, or watching your kid’s soccer game on a Sunday afternoon, Mobile Banking keeps you in touch with your money. To sign up, download the free app. Make deposits “FREE” with your mobile device conveniently and securely! Mobile Deposit is secure, and easy to use. There is no need for you to go to the Bank. You can securely deposit checks directly into your eligible account using your Android or Apple mobile device. To get an image of the check, tap on “Capture for Front” and “Capture for Back”. Using the phone’s camera, take a photo of the front of the check and the back of the check. Choose the account that this check is to be deposited into by tapping “Deposit to”. Then tap “Deposit Check” . Your check has been submitted. You will receive an e-mail confirming the deposit.